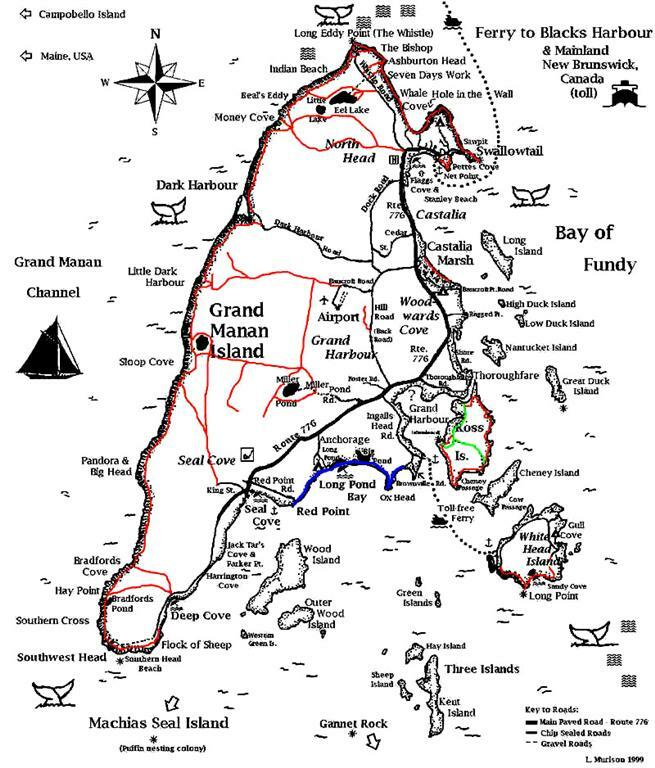 Grand Manan is an island between the Gulf of Maine and the Bay of Fundy, off the coast of New Brunswick and Maine. 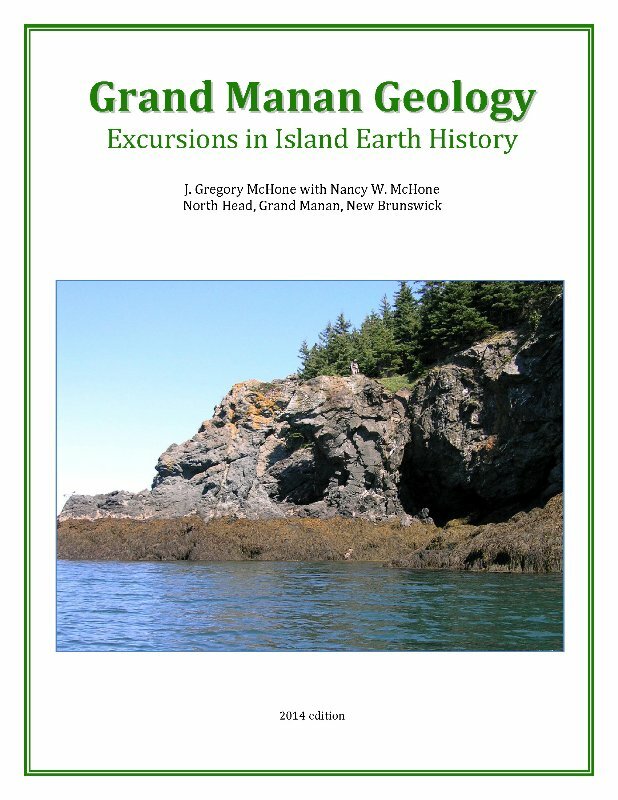 Geologists who visit Grand Manan know the rocks and structures of the island to be spectacular but challenging. 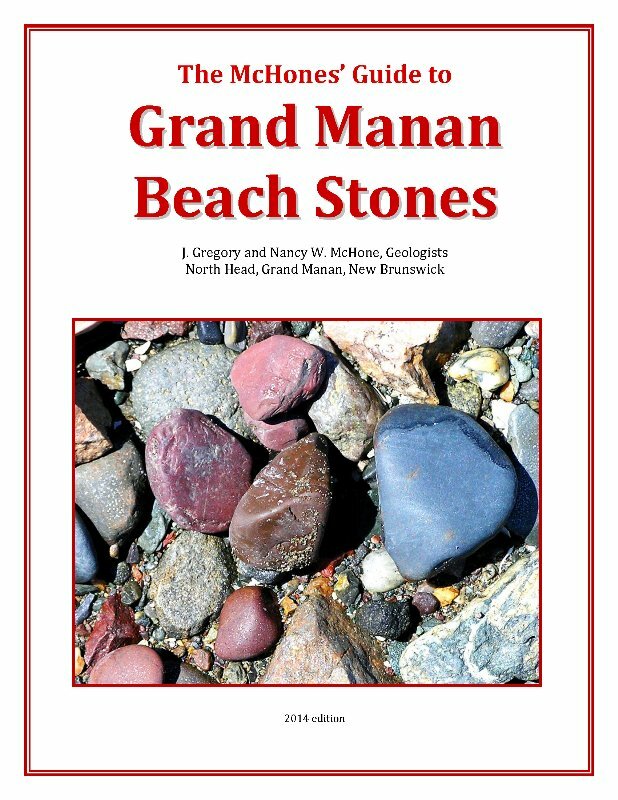 Rock hounds, mineral collectors, and beach combers find a variety of interesting and often rare samples. 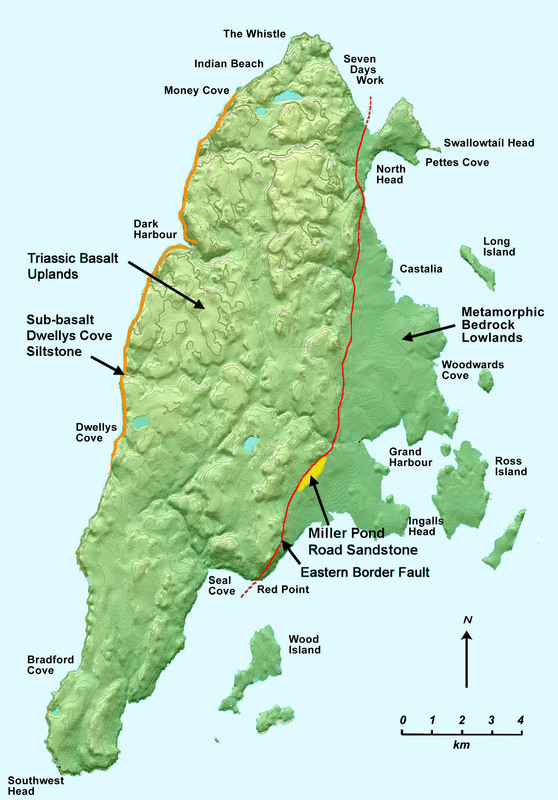 Along with excellent and accessible outcrops (especially along the shoreline), the island's unspoiled scenery and peaceful atmosphere are not surpassed anywhere along the eastern coast of North America. 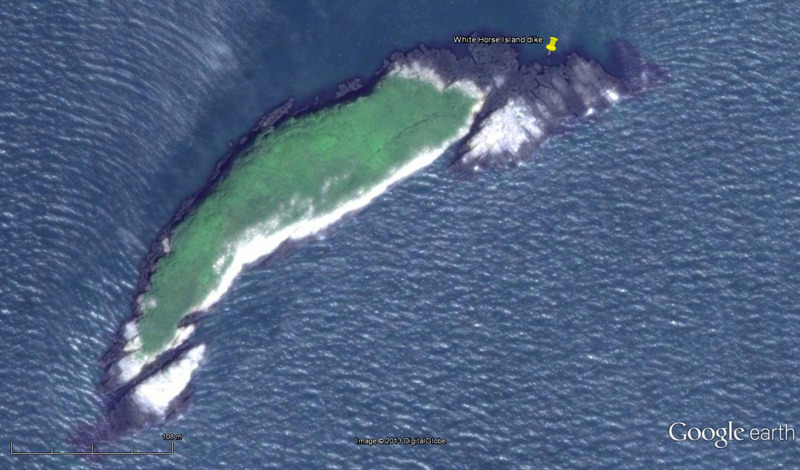 It is a special place. 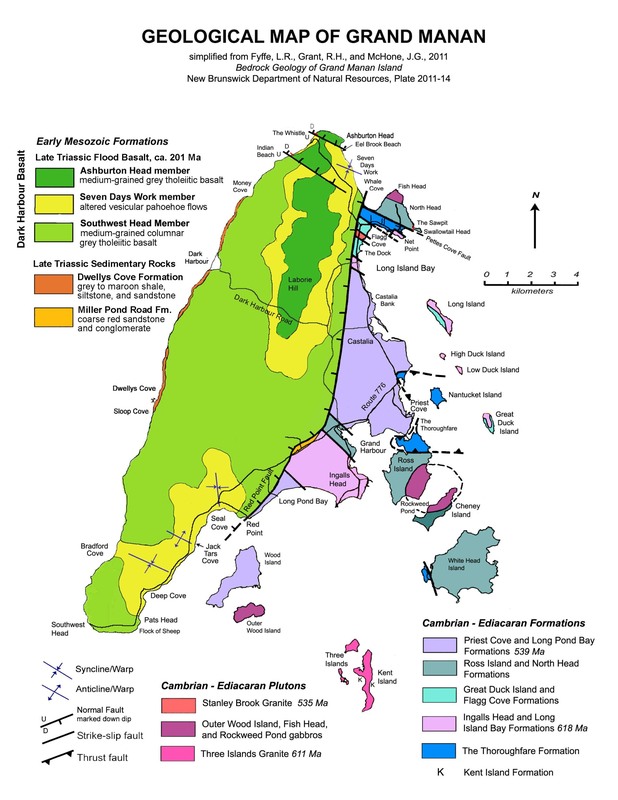 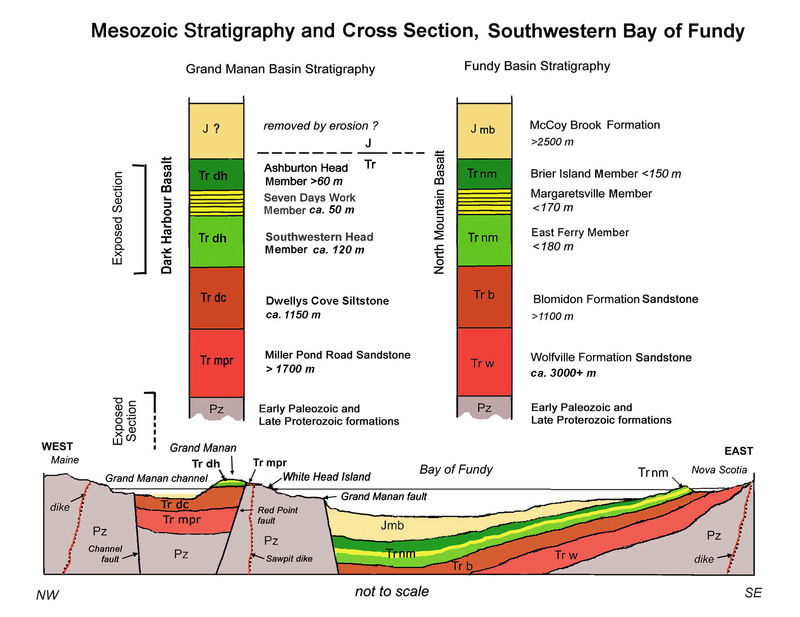 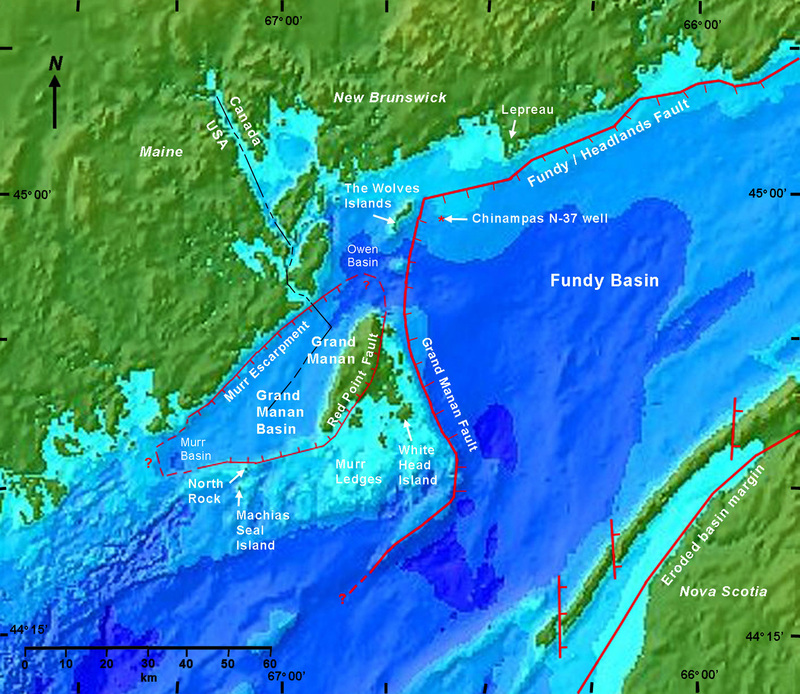 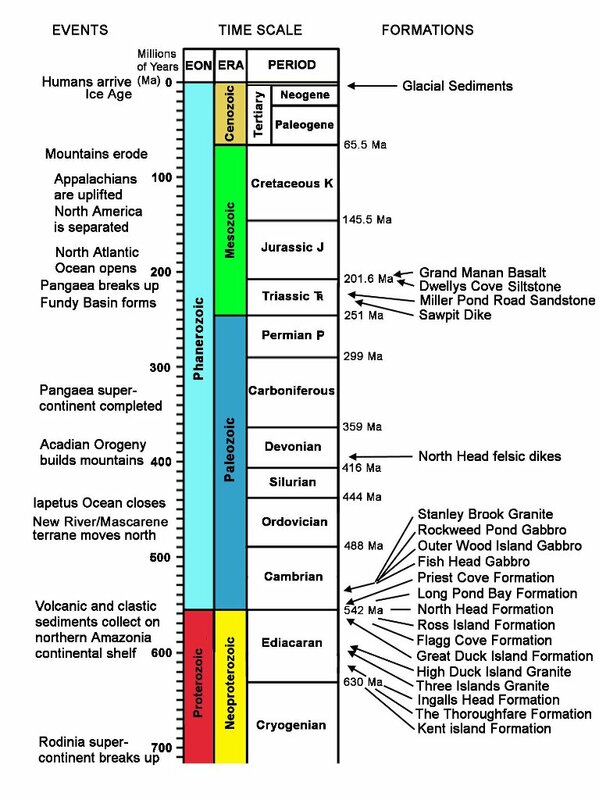 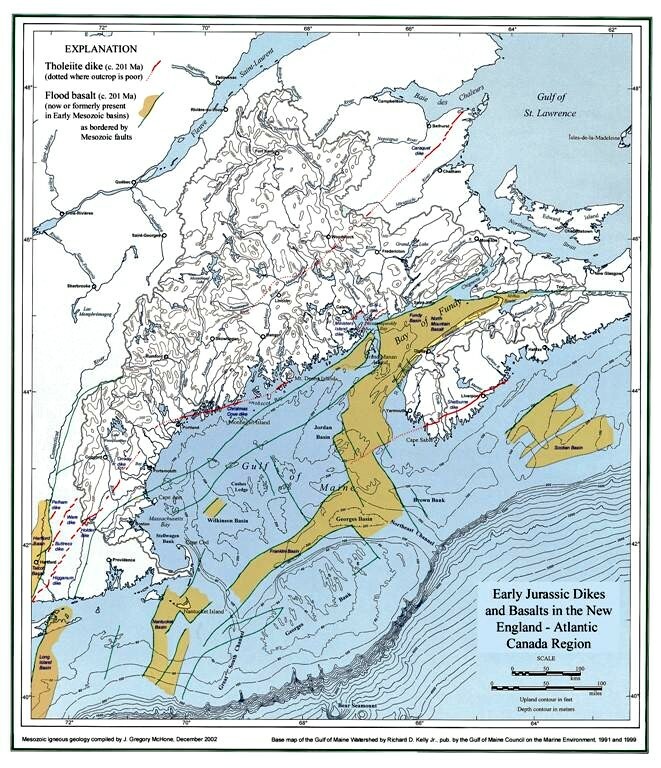 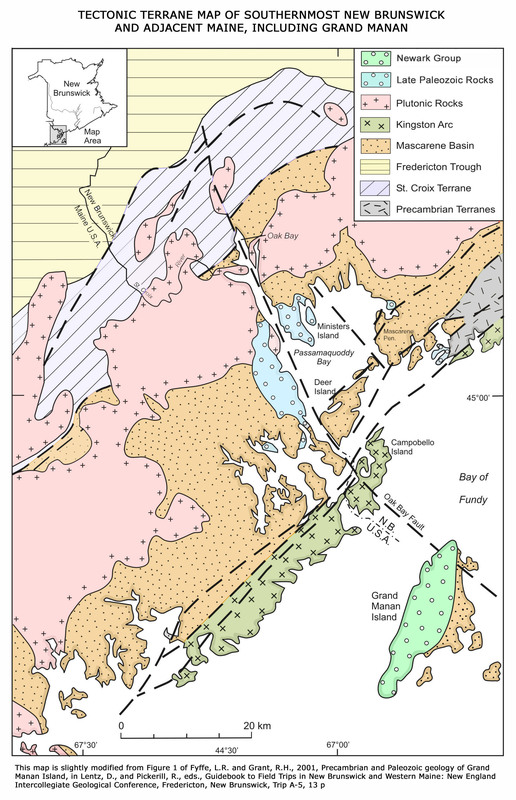 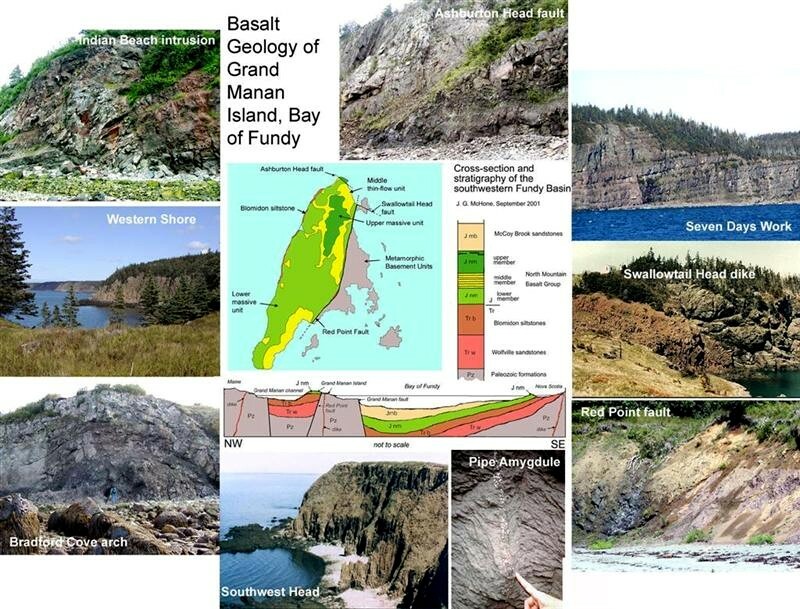 This web page about the geology of Grand Manan is intended for students, teachers, geologists, and others who appreciate this part of our earth. 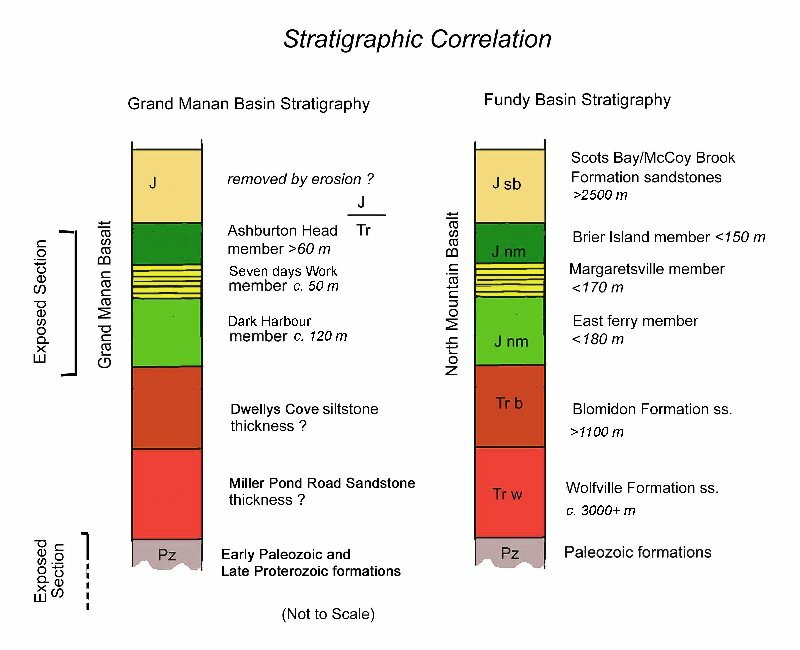 Please feel free to contact me with questions or comments. 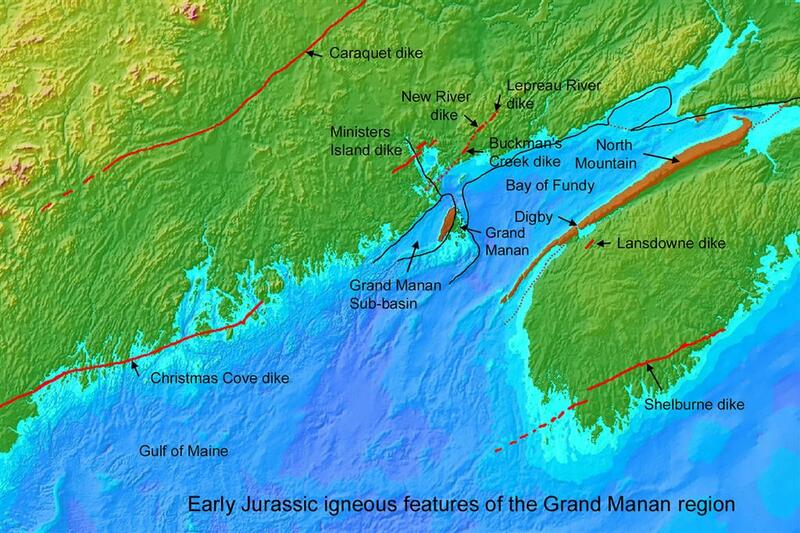 The Grand Manan Museum has a bright new geology exhibit, with new maps, minerals, graphics and other displays. 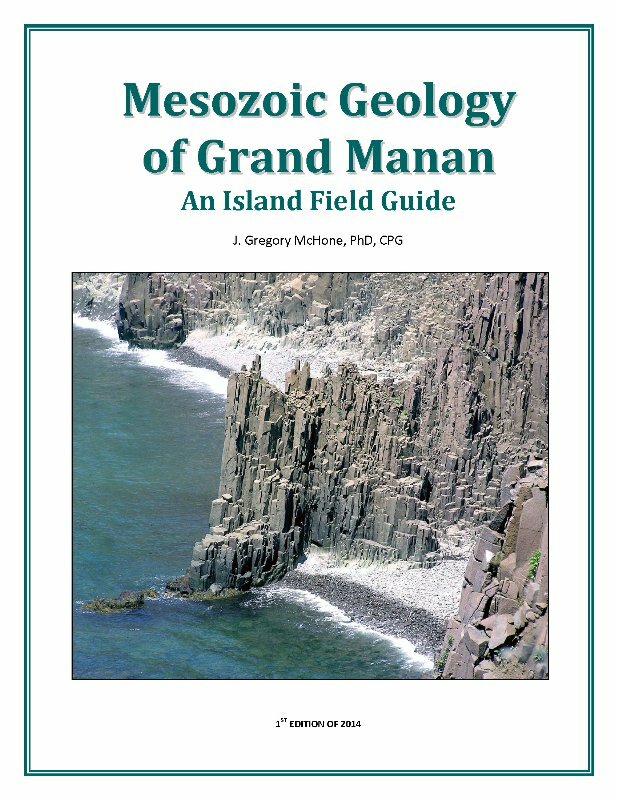 Check it out this summer!